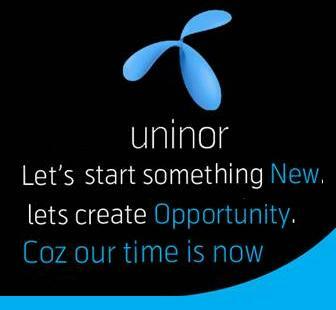 Uninor the Youngest telecom operator is all set to launch its GSM Mobile Services in Mumbai telecom on 1 June 2010. The core GSM network is live across Mumbai. Uninor will be 10th GSM operator in Mumbai, the 9 other operators are Airtel, MTNL, Vodafone Essar, Loop Mobile,Idea Cellular, Reliance GSM,Aircel, Tata Docomo and Videocon. Uninor, the Indian GSM mobile brand of Telenor, which launched across 8 telecom circles in December 2009 and has already registered more than 4.2 million subscribers within just 5 months of operations. The company hold Pan India UAS Licenses (for all 22 telecom circles) and holds 2G spectrum in 21 out of the 22 circles. The operator will be looking to consolidate its customer base that has touched 4.2 million across the eight circles that it operates in. Well Telenor has very poor service in pakistan but no doubt it’s second largest network in pakistan.